Across the globe, there are numerous examples of treaties, compacts, or other negotiated agreements that mediate relationships between Indigenous peoples and states or settler communities. Perhaps the best known of these, New Zealand’s Treaty of Waitangi is a living, and historically rich, illustration of this types of negotiated agreement, and both the symmetries and asymmetries of Indigenous-State relations. 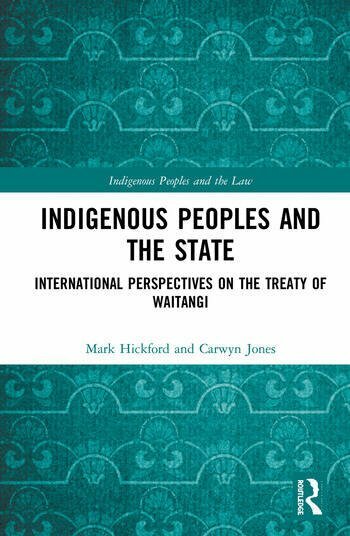 This collection refreshes the scholarly and public discourse relating to the Treaty of Waitangi and makes a significant contribution to the international discussion of Indigenous-State relations and reconciliation. The essays in this collection explore the diversity of meanings that have been ascribed to Indigenous-State compacts, such as the Treaty, by different interpretive communities. As such, they enable and illuminate a more dynamic conversation about their meanings and applications, as well as their critical role in processes of reconciliation and transitional justice today.